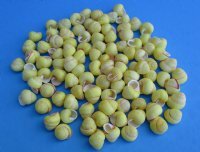 Yellow Land Snails (helicostyla veridostriata) 1/2" to 1" for Hermit Crab Homes, commercial grade with natural imperfections - Packed: 100 pcs @ $.15 each; Packed: 500 pcs @ $.12 each. 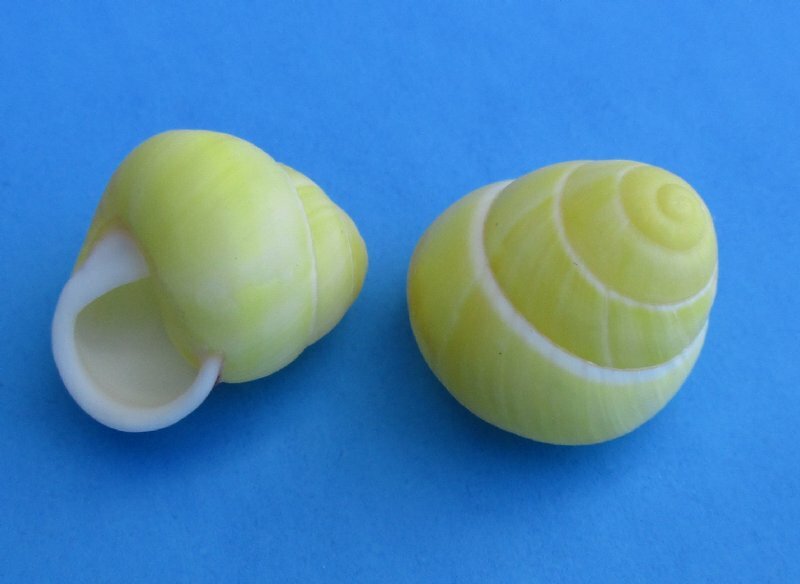 Wholesale Yellow land snails (helicostyla veridostriata) for hermit crab homes measure between approximately 1/2 inches and 1 inches long. A land snail is a common name for any of the numerous species of snail that live on land, as opposed to those that live in salt water and fresh water. 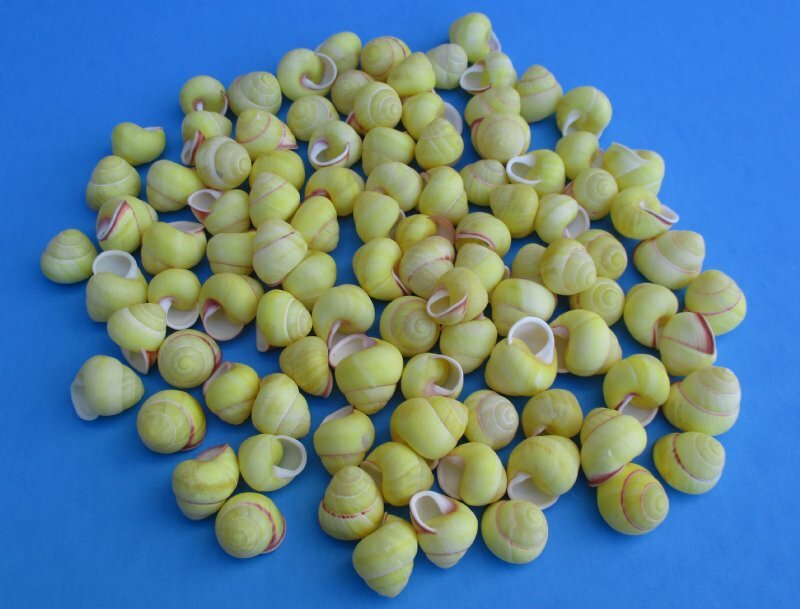 These yellow land snails are light weight and perfect shells for use in numerous shell craft projects. Our shells are commercial grade. All seashells sold in bulk may contain shells with chipped edges and natural blemishes.